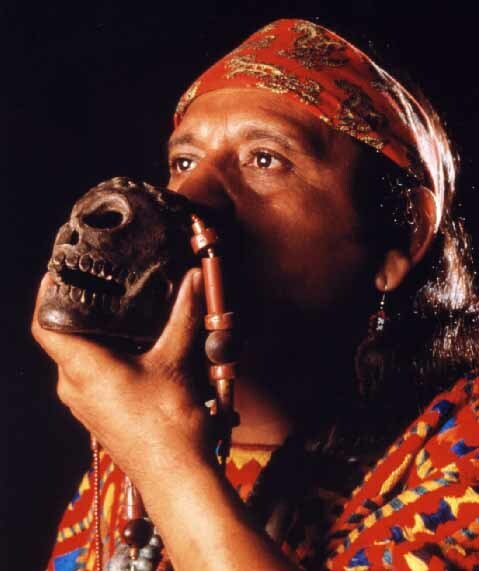 There is something fascinating, yet mysterious about this instrument and the noises convinced me to undertake some further research in order to discover the purpose behind the Aztec ‘death whistle.’ This is something I haven’t seen or heard of before until now and I decided to delve deeper in the spiritual, cultural and historical speculations relating to the death whistle. According to Bezanilla, Echecatl “mixed these bones with his blood and gave life to the humans who inhabit the fifth sun or the present world.”7 I’m not entirely sure if these stories or mythologies feature a connection to the whistle, however it is interesting to uncover the stories behind Ehecatl and Mictlantecutli. I tried to search for an audio recording of the sounds from the Chichtli; while I have discovered some articles and books online, I was unable to find any recordings. 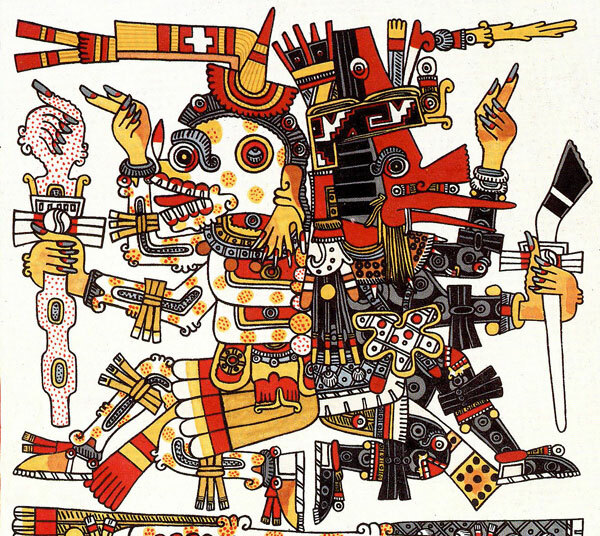 I have found this discovery rather interesting, as I’m able to listen to the Aztec Whistle through the internet, although I struggled to find any written information. Cabrera suggests that many ‘resonators’ have disappeared and the ‘death whistle’ is quite a rare instrument; I have wondered whether the lack of information or research regarding the ‘death whistle’ were destroyed during the Spanish Inquisition, this is just a speculation I have anyway.9 Cabrera’s article also features an audio recording from the ‘death whistle’ that successfully produces some disturbing sounds and the noises remind me of a person screaming for help. I decided to revisit the youtube video clip with Xavier Quijas Yxayotl who suggests that the ‘death whistle’ was used by tribes in order to scare their rivals during war.10 I tried to search for additional information online, however I was unable to find any other sources relating to the use of the ‘death whistle’ in warfare. 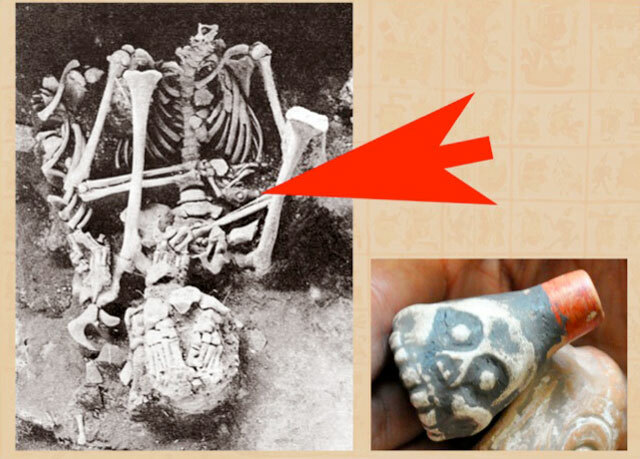 Examining the ‘death whistle’ provided some very interesting, yet fascinating research that I haven’t discovered before. I was surprised that I discovered this ancient instrument through Facebook and I’m hoping to find some additional information in the future. Please click on the links below for further details. 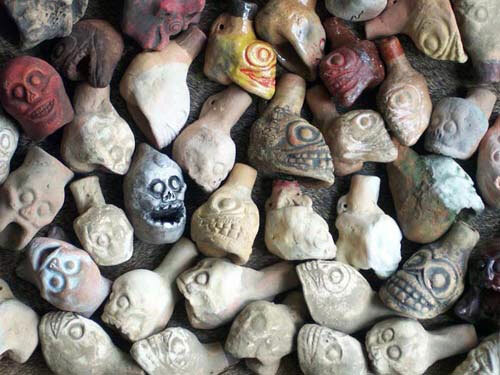 This entry was posted on Monday, December 15th, 2014 at 1:28 pm	and tagged with Aztec, Black Calavera, Death Whistle, Echecatl, God of Death, God of Wind, Instruments, Mictlantecutli, Music, Mythology, Noises, Skull, Skulls Project, Sounds and posted in Events / Conferences. You can follow any responses to this entry through the RSS 2.0 feed.